This painting by Trevor Mitchell shows special memories of people at a farmers market in the 1950s. It captures a lovely moment on Market Day where the market stalls are selling their goods. This thirty-five-piece Autumn Market puzzle has been designed for people with early to mid-stage dementia and is perfect for those who found our twenty-four-piece and thirteen-piece puzzles easy to complete. 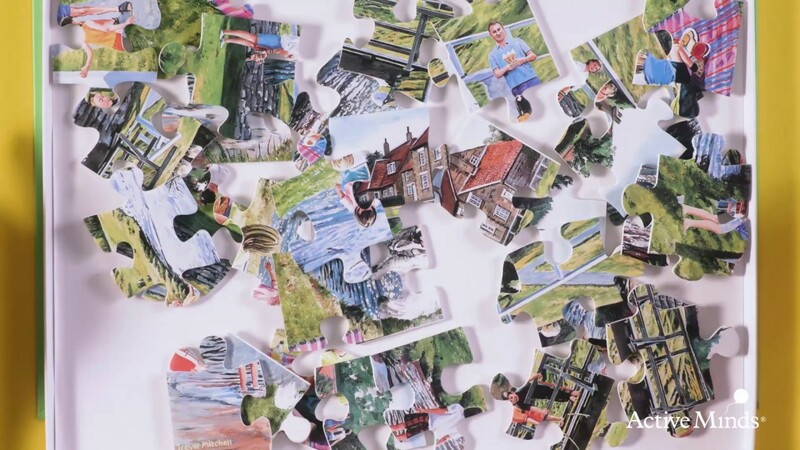 The size and shape of each piece, the colours used and the unique collection of images have all been designed and tested to help users in early-mid stages complete the puzzles unassisted. Each puzzle is made from plastic making them extremely durable and easy to clean, ready to be used repeatedly. Images have been carefully chosen to allow for visual impairment and to spark memories and conversation once completed.